The reality of domestic life, both of family and objects, is central to Marilyn’s work. It is the antithesis of the idealised. Domestic objects which evidence their history through marks and wear: domestic objects whose basic materials have remained more or less as in their earliest manifestation (as seen in ‘Homemaker’ and in her current work based on the ‘family’ bread board). 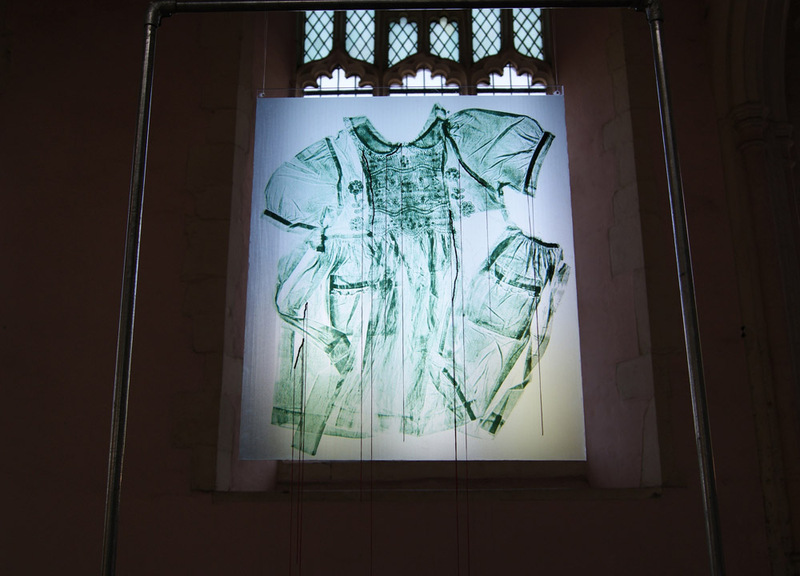 Marilyn’s work also considers family relationships, and has looked obliquely at mental health issues as well as memory (‘Absence’; ‘Anniversary’; ‘The Mending’). The well-spring of a piece of work is often a found object or a series of objects, so, visiting different places to look, research, photograph and draw is essential. Something will intrigue Marilyn and then she begins to delve further – into its history, its construction, its function, its aesthetic. As a fine artist, rooted in printmaking, Marilyn works with a variety of media and processes which are appropriate to the work in hand. She makes objects (using porcelain, wax, textiles, found objects and other media) as well as installation pieces. The objects are often visually enticing but, on closer inspection, contradictions emerge: a child’s delicate dress is torn, or a baby doll is incomplete or damaged. Print, in its broadest forms, offers processes through which she can think about and develop ideas. Other, traditional processes (e.g. cast porcelain) together with newer technologies such as laser and hard surface printing, combine to stretch possibilities and to articulate new ideas and work. Bill’s most recent painting and printmaking work grew out of time spent around the disused and nettle-encroached buildings which surround what was his grandparent’s old smallholding in the West of Ireland. Absorbing the ‘sense of place’ and the passage of time was an essential part of the process of visually recording the now derelict sites strewn around the rolling Irish farmland. He has continued to develop this theme, both in Ireland and the North of England, as well as studying old industrial remains and overgrown quarries of the North Downs near where he currently lives. Responding to this subject by working with repeated layers of graphite, ink and paint, and by distressing the surface of the paper itself, Bill hase tried to convey erosion, and the nature of memory. 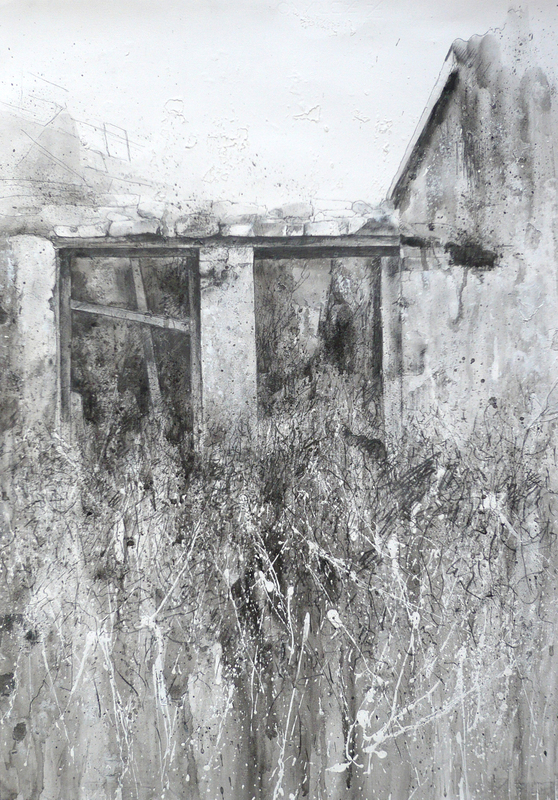 Similarly in printmaking, the process of etching, the repeated application of grounds, aquatints, and ferric chloride onto copper plates, have also become an attempt to convey the atmosphere and layers of time of abandoned places, and the various ‘weeds’ which now thrive in deserted sites of human activity.